In sub-Saharan Africa, the majority of farmers are smallholder farmers, living in poverty and working on less than two hectares with low levels of production. For these farmers, agriculture is a struggle to survive. Poor infrastructure, the lack of developed supply chains and inadequate financing contribute to low yields and unreliable supply from smallholder farmers. In order for these small-scale farmers to make agriculture a business that thrives, they need to be able to sell their produce in a profitable and reliable market. To that end, businesses, governments and civil society are seeking new types of collaborative partnerships and business models to link them up. For smallholders, the most important links are to the "output" markets where they can sell their produce, as well as to high-quality "input", or farm suppliers. Then there's the link to financial services and the link to knowledge, training and technology. Of these four – output, input, finance and knowledge – output is the most important, as this represents market demand and future cash flows. Investments in inputs, financial services and knowledge all make sense once the output linkage is secured. “I was struggling to save enough money during the growing season to invest in better seeds, fertilizers and herbicides," says Kostmas Mkungwila, 54, a farmer from Tanzania. "It was also hard keeping up with school fees and supplies." The father of two teenagers, Mkungwila has been farming all his life. Typically, smallholders like him rely on rain-fed agriculture and are often too poor to invest in quality farm supplies. Yet these inputs could easily double their yields. They also lack advisory services on good farming practices, adequate storage for grain once it is harvested, and information on how to secure profitable markets. In 2015, a group called the Farm to Market Alliance began working with smallholder farmers and local NGOs in Tanzania to try and change things. The group introduced a four-part intervention enabling access to small loans, quality inputs, training and commercial markets. 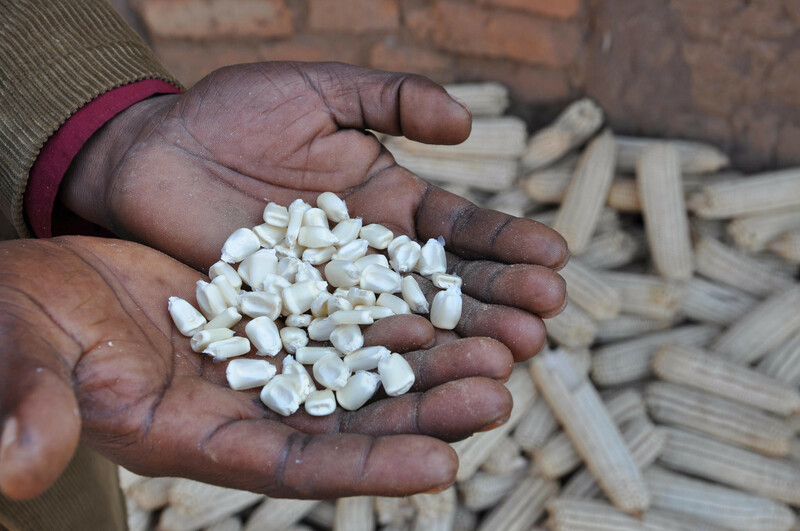 With loans of as little as US $45, Mkungwila, and more than 20,000 farmers like him, were able to obtain hybrid maize seed, fertilizer and herbicide. Coupled with professional advice on how to get the most out of these inputs, the farmers were able to time their planting to coincide with the rains, which have been receding in recent years. The result? A bumper harvest for farmers. “My yield increased by almost 250% from last year,” says Mkungwila. This approach by the Alliance has proven successful in Tanzania, and will soon be rolled out in Rwanda and Zambia. Future plans include introduction of an e-payment system for farmers, a traceability system to inspire greater confidence in buyers and consumers, and a tailored insurance package for participating farmers. Combined, these interventions will contribute to helping make farming profitable for smallholder farmers. With the aim of increasing market access for smallholder farmers, Rabobank partners with stakeholders across the public and private sectors. In Rwanda, Tanzania and Zambia, we work with a new eight member consortium called the Farm to Market Alliance which connects smallholder farmers to markets. Our partners within FMA are AGRA, Bayer AG, Grow Africa, IFC, Syngenta, WFP and Yara. In its first season, in Tanzania, the consortium connected more than 20,000 farmers who supplied 22,000 tons of maize to various public and private sector buyers. Over time and in a range of countries, the Alliance aims to provide market access to 1.5 million farmers, producing food crops worth US$750 million.